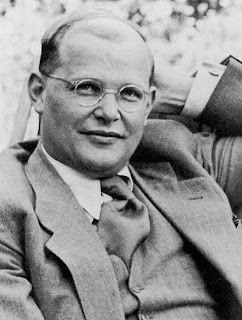 Dietrich Bonhoeffer was an incredible man, pastor, theologian, and writer. It feels strange attempting to describe him--he did so much with his life. He could have escaped Germany in WWII while teaching in the U.S. Yet, he went back knowing that he'd probably lose his life, which he did. He would not set back and take the easy way out in the face of evil. His words demonstrate more than anything I could say.